Experts believe the number of people falling through the ice will be the highest in a decade because of dangerous conditions. This winter has been strange to say the least. No snow, then tons of it... unseasonably high temperatures, and then days at a time in the freezer. All of that inconsistent weather means dangerous ice conditions. 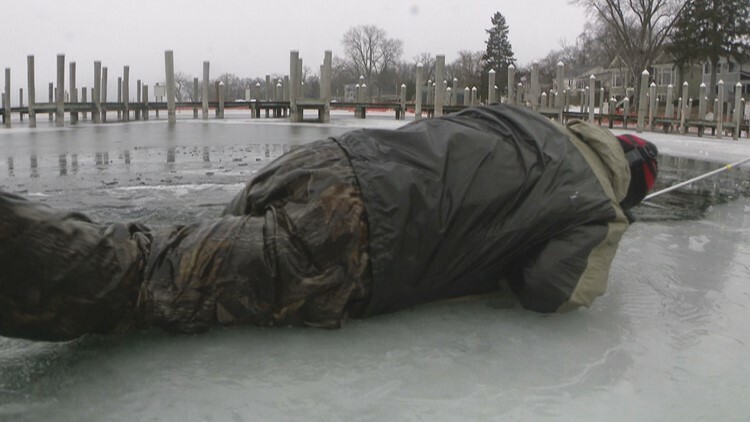 State officials say the number of people falling through the ice this season is on track to be the highest in a decade. Even in winter in the "Land of 10,000 Lakes," the chance of getting us off those lakes is non-existent. So we are trying a different approach -- keeping you safe while you’re out there. The easy answer would be to tell you to wear a life jacket and carry ice picks. 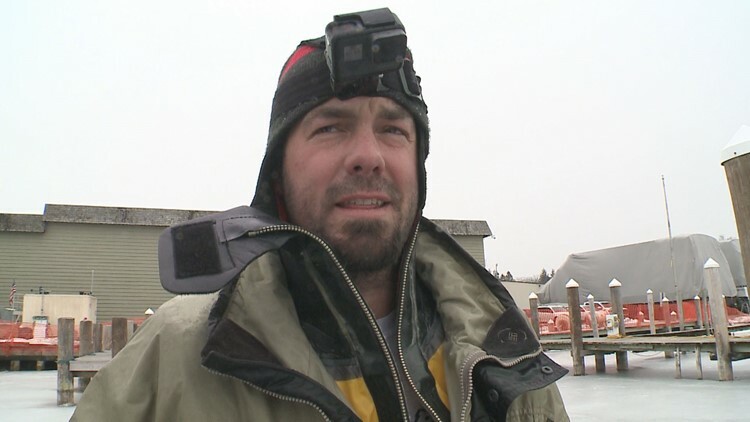 But the Minnesota Department of Natural Resources (DNR) says you can still escape the icy waters even if you don't have any safety equipment. 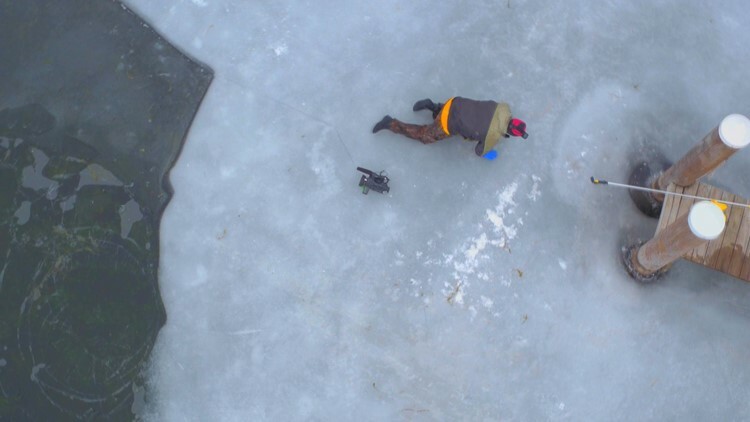 “When you break through the ice there's a cold shock that takes over real quick and the thing that you need to do is just get your bearings,” says Joe Albert with the DNR, as he floats in the frigid water. Experts also say hypothermia is a danger, but you are more likely to die from drowning. 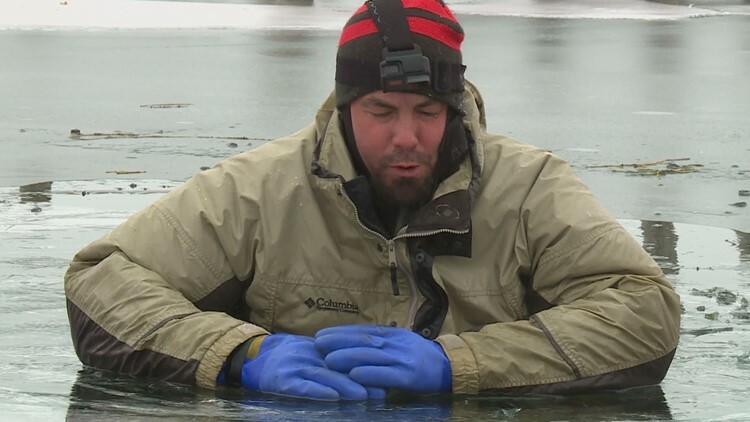 "You're not going to start experiencing the effects of hypothermia for 30 to 40 minutes after you've gone into the water, so you've got quite a bit of time... more than you would think before hypothermia becomes an issue," says Arnaud Kpachavi, DNR conservation officer. "The real threat to you right away is going to be drowning." That's why the most important step is the first one. Experts say you have about one minute to think through what you're going to do. They suggest to take some time to get your wits about you instead of panicking. Make sure to turn around and go back toward the ice you came from. That ice was strong enough to hold you at one point so it is most likely going to be the strongest ice. Spread your arms out on the ice so you can spread the weight out and start kicking your feet until your body is horizontal as you try to pull yourself up on the ice. As you start to get yourself out of the cold water, roll away from the hole in the direction you came from. Once you have rolled a significant distance away from the home and you know you're on some good ice, you can come to your hands and knees and crawl away. Once you are on really solid ice, you can stand up to walk away. 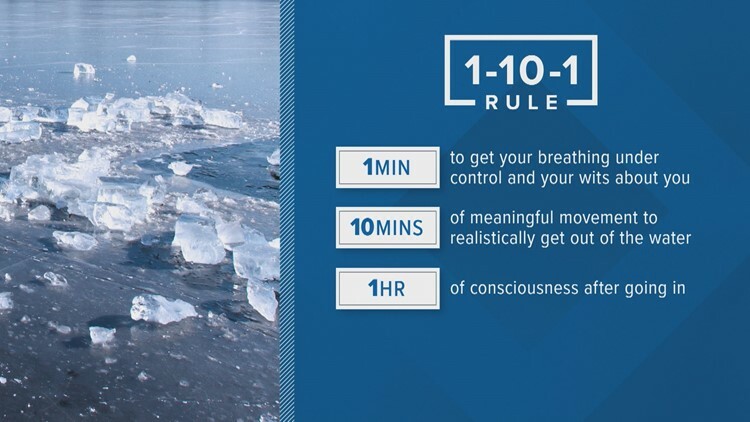 The best way to remember what to do is follow the "1-10-1 Rule." And the best advice is to have the proper equipment: a life jacket and ice picks. 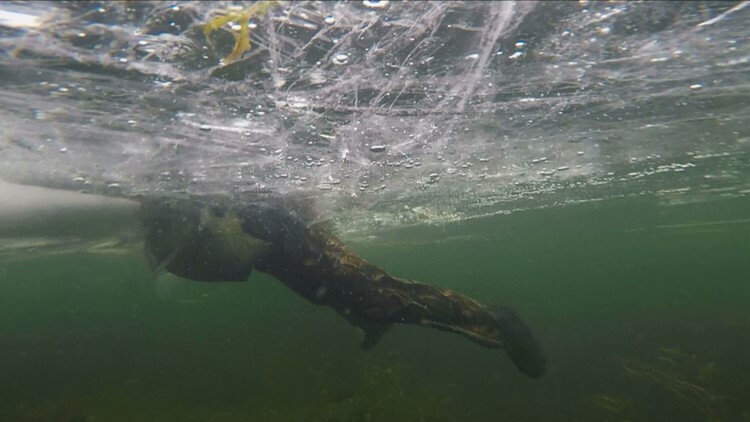 Below is a video comparison of getting out of the ice with ice picks and getting out without them.